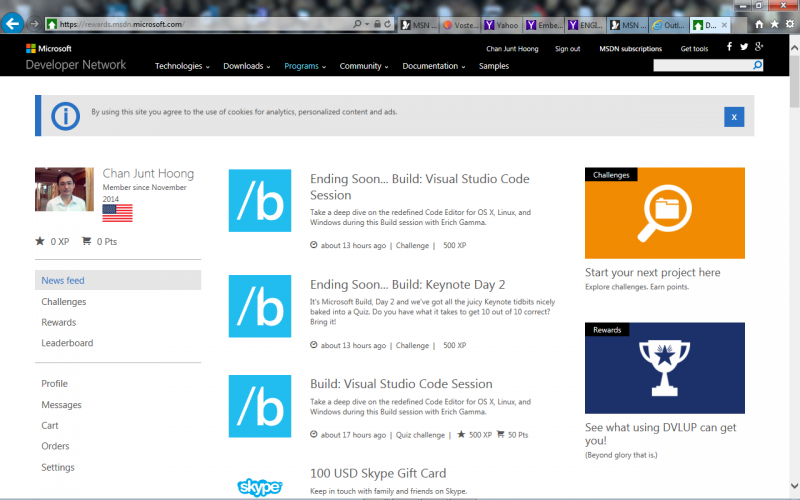 My status in Microsoft as a member of the Microsoft Developer Network, Microsoft DVLUP, United States. 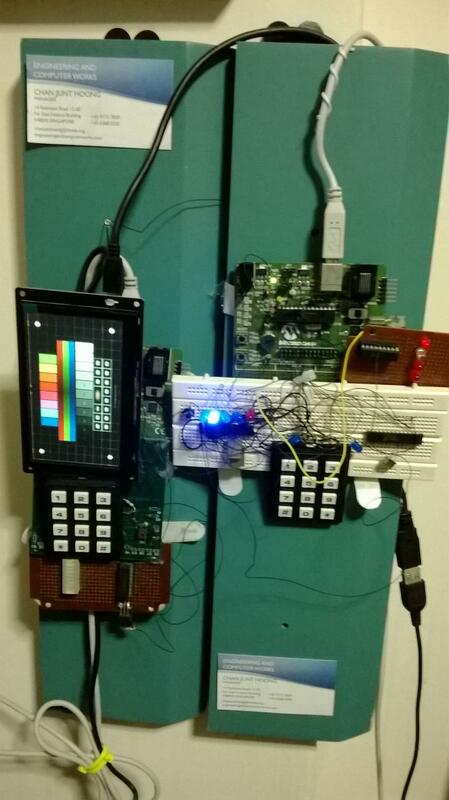 May 1, 2015: The new control system is completed and the yet to be ready PCB is in the works. The new control system currently comprises of 2 devices, the Microchip PIC 16F1937 and the Microchip PIC 16C63A, and would include many new features and improvements included. April 30, 2015: I have new devices available from Microchip at my office for sale, including PIC 16F1937 40 pins, PIC 16C63A 28 pins and memory chips PIC 24LC256 256MB 8 pins available. All devices are DIP packages. The prices are USD 2.50 per device for the PIC16F1937 and USD 1.20 per device for the PIC 24LC256. The price per device for the PIC 16C63A are USD 5.00. Please email chanjunthoong@theiet.org or chan_junt_hoong@ieee.org for details. 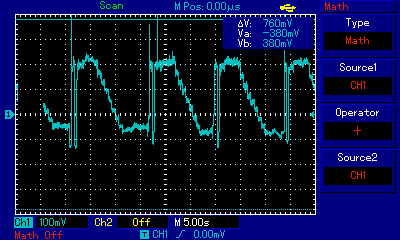 April 29, 2015: I'm currently having an idea of putting my DSP chip and amplifier filter to use on my control system and attempting to make it communicate via USB to another control system after connecting both ports via the driver program. There are several issues, including connection of 2 different control systems to a port( not the dual control system which can be done), which is not possible, and transmitting of the sound. If this functions, would it work as a communication system via Internet Protocol or IP and USB? A logical solution is to try within an intranet, I will think about this further and if possible, will let you know through the website. Thank you again for your time in reading this. 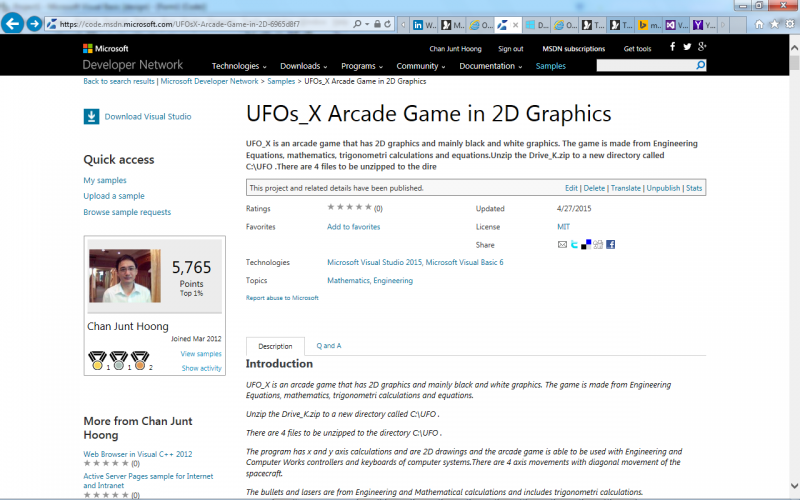 The UFOs_X game has been compiled and current programming on Visual Studio 2015 is on-going to complete the program. It's a combination of the below running on the latest Visual Studio for Windows 8.1 Professional and other versions of Windows including Windows 7 Home edition and it's variants. Images of UFOs XVersion D below. 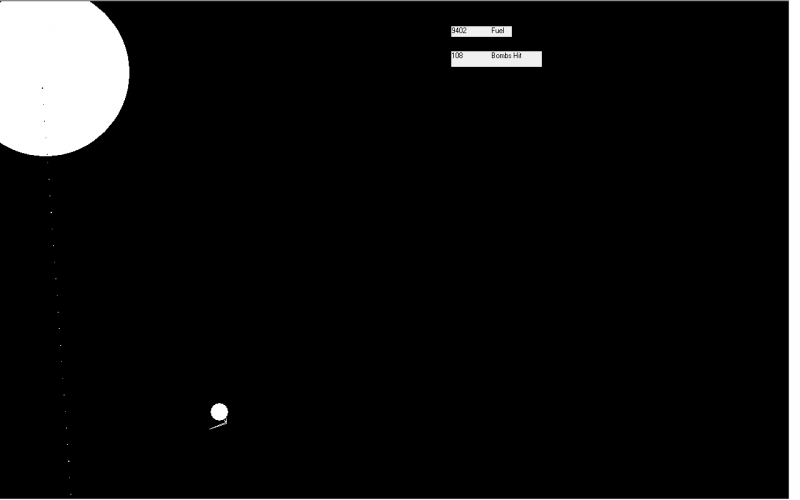 UFOs_Xc.exe is the latest version of the game from Engineering and Computer Works updated with control for smooth take off, smooth landing, left and right movement and diagonal movement with the arrow keys control. http://engineeeringcomputerworks.com/UFOs_Xc.exe . The source codes below are able to function with my control system for movement and firing of weapons and bombs in the games mentioned below. 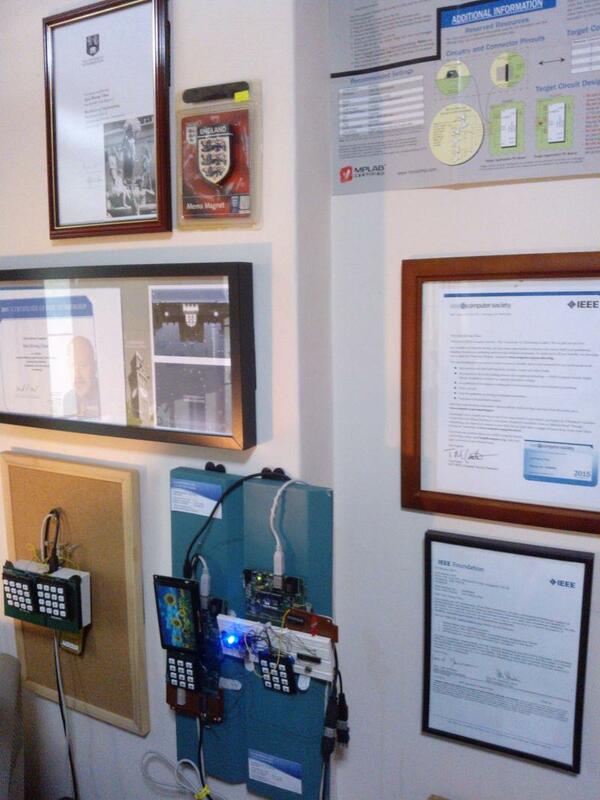 Please contact chanjunthoong@theiet.org or chan_junt_hoong@ieee.org for details or purchase of the control system. The control system currently has Maze 3D, Pac Man, Pacific Warriors, UFOs and other games suitable for its dual or single control system. For more details, visit http://engineeringandcomputerworks.com . April 24, 2015: UFOs software source code for download from the link to my Microsoft One Drive, http://1drv.ms/1GmmFuN . Thank you for following the development of the UFO's game. The full source code and the rest of the files are together in the zip file. 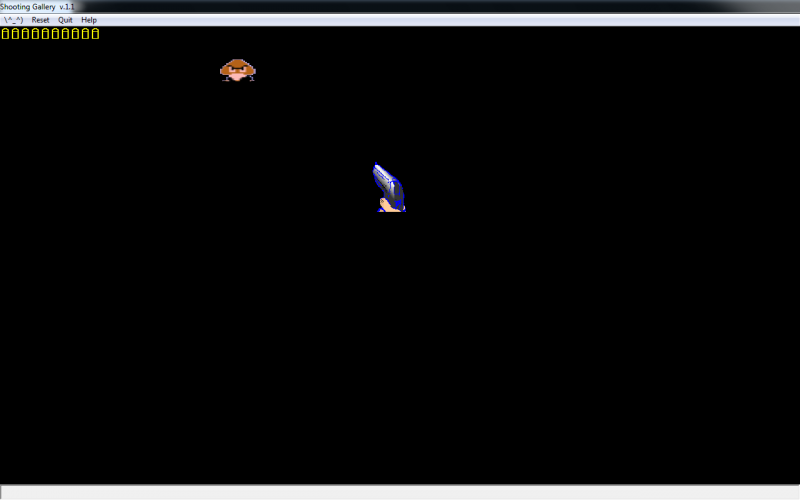 The source code is run on Visual Basic 6. April 23, 2015: Improvements made including moving on the Y-axis and X-axis movement and ending of the UFO's game, Please download at the link attached, this is still an unfinished version. http://engineeeringcomputerworks.com/UFOs_Xb.exe . 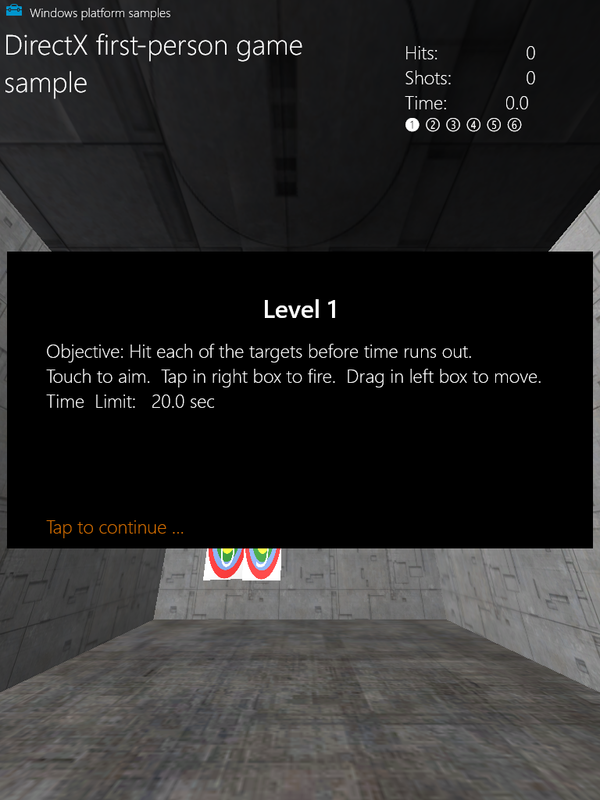 April 22, 2015: Accelerate and Brake software is improved, the game shows a floating UFO in the UFOs game, please download from http://engineeeringcomputerworks.com/UFOs_Xa.exe . 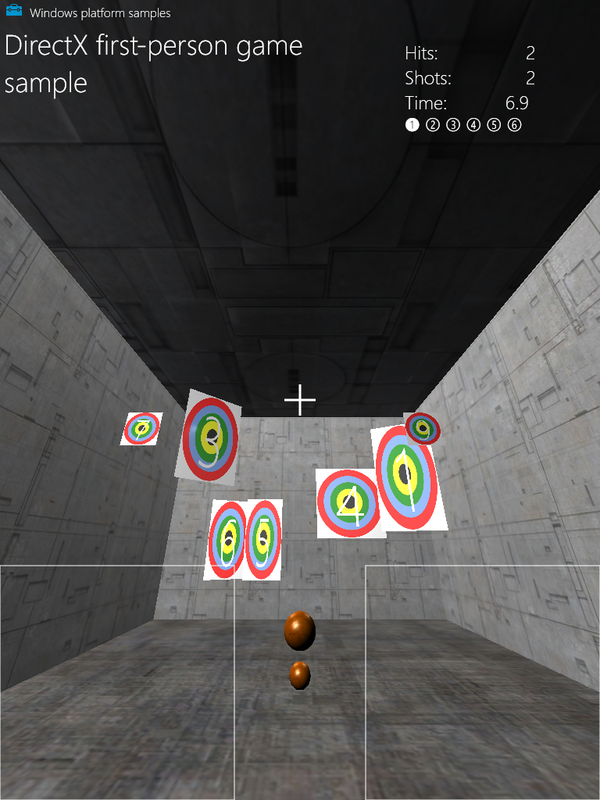 April 21, 2015: Accelerate and Brake software is available for download, the introduction game software shows bullets shooting down from the aliens and laser firing at the target, http://engineeeringcomputerworks.com/UFOs_X1.exe . April 20, 2015: The newest UFOs game UFOs_X, is placed in the server for download with sound effects for only the Accelerate and Brake with laser effects intoduction. 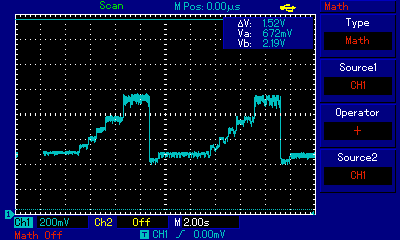 Please copy the laser.wav and place in the C: drive, folder named A, namely C:/A/laser.wav . Please download the UFOs.zip folder and place the unzip folders in the same folder as the UFOs_X.exe as well. 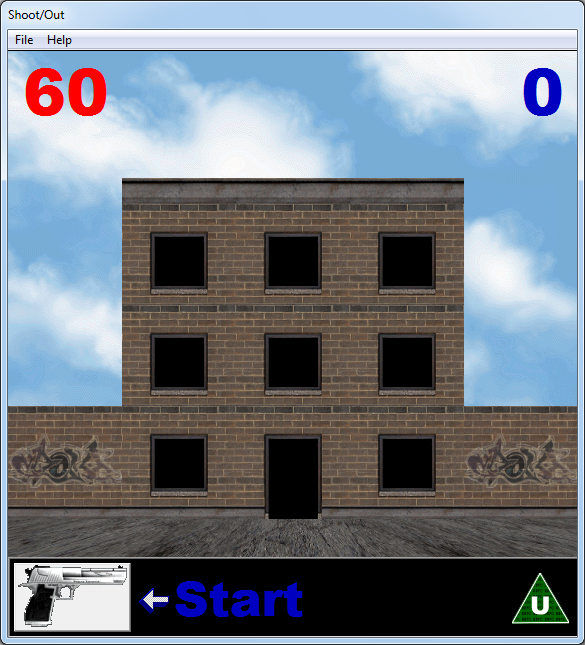 April 19, 2015: Sound effects have been added into the game for UFOs and for the first screen there is laser firing and hitting of the target sound, I am now currently trying to add car movement sound into the game. This will be placed into the server as soon as completed. The sounds are as follows: laser and hit_target . 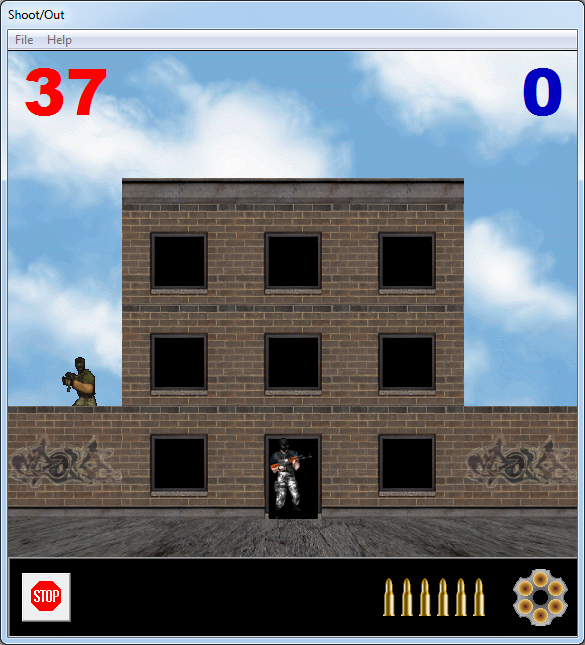 April 18, 2015: The continuation of the UFO's game has gun shooting as in the arcades first shooter program, taking out Al-Queda and enemy soldiers and fighters in building. Please email me for further enquires and demonstration. The game requires responsibility and the user is to follow the law responsibly,( and not use a gun for violating the law and shooting at innocent people ). I'll send a copy to the email address if you can comply to the statement above. 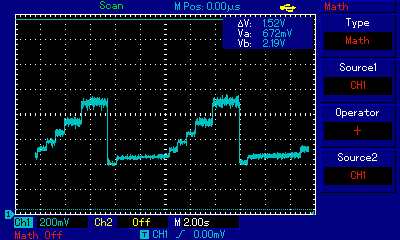 April 17, 2015: The DAC chip on the Microchip PIC 16F84A has been tested as a DSP chip to filter voice by inputting through Port B and Output through Port A. The sound is then passed through an analogue filter between +9V and -9V and output through speakers as a stereo signal from a mono signal. (The ouput of the analogue amplifier is fed back into the input of the amplifier to achieve stability.) I will try with video imaging later and check the results if this is possible. 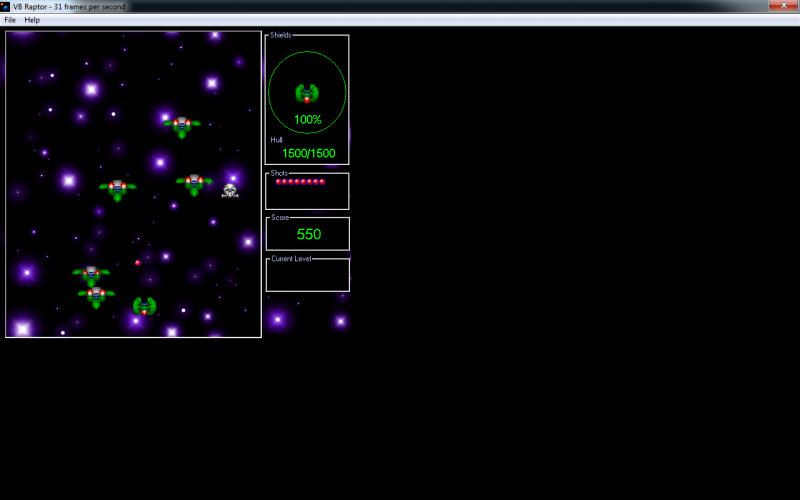 April 16, 2015: Test version of uncompleted game UFOs from Engineering and Computer Works, please download from http://engineeeringcomputerworks.com/UFOs.exe and http://engineeeringcomputerworks.com/UFOs_II.exe and http://engineeeringcomputerworks.com/UFOs_III.exe . 1. Skype Phone dialer, answer and shutdown of Skype Phone including login and logout with the driver Phone Application software. 2. 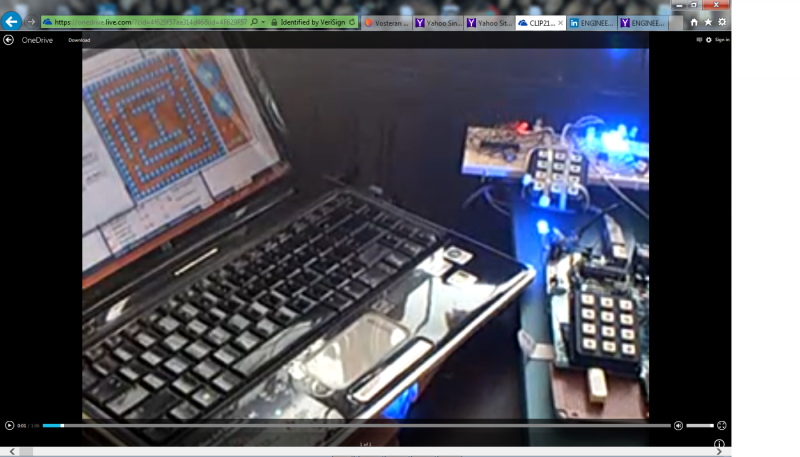 Game Control System utilizing the laptop or desktop together with the software driver. 3. Model Car Simulated control system interfaced to the laptop or desktop with the driver using own telemetry programs controlling X,Y movement by side view, front view and top view. Further intention to move the model car within a small top down view of a layout or maze or a mouse system. 4. Calculator together with Windows calculator. 5. Stand alone control system for controlling production lines or conveyers. 6. 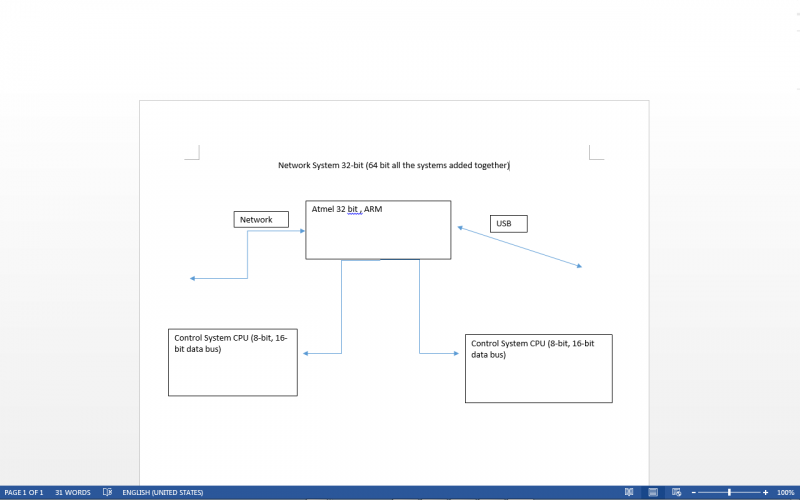 Stand alone control system or interfaced together for controlling computer systems. 7. Dual left and Right brain system with central system simulating a robotics intelligent system with sensors to obtain IO functions for decision making. 8. Minimum of 32 keys computer stand alone system or integrated to the computer via USB. 9. and many more ideas for control and computer systems. I have an opportunity for a person with programming skills to work with me for developing software for Windows and Windows Phone with Windows Store utilising Windows Visual Studio 13 and 15 and Telerik software and e for the Windows various programming versions available. 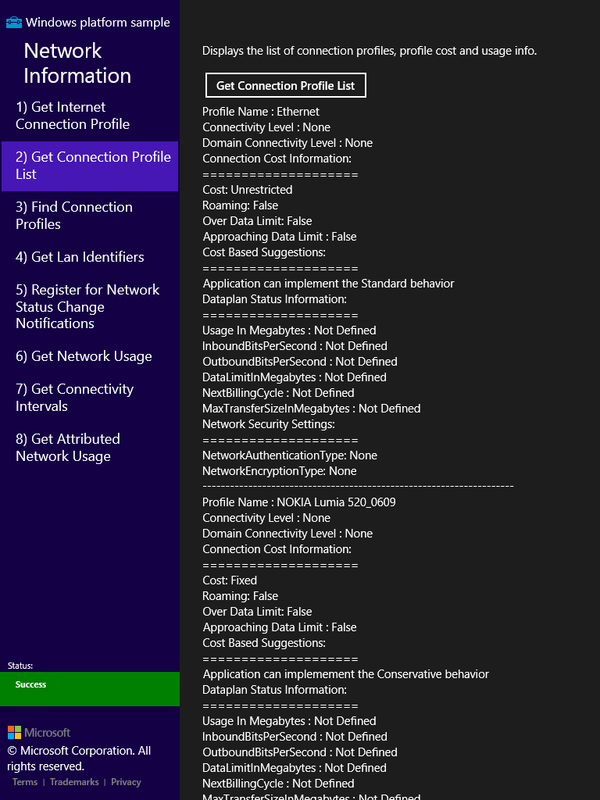 Below are some of the images from the Windows Programming for Windows 8.1 samples available. 1st April, 2015: Today is April Fool's day and the following news is not an April Fool's joke, the control system in my office is now assured of being able to control the software below and hardware, eg: mouse and Accelerate and Brake. This software would be utilised in motion control of a small model car in place of the trolley which was suggested earlier. I have the stepper motor for steering direction available and drive motors and control available. This would be complete by the middle of the year approximately. Accelerate and Brake is available for download from this link, http://engineeeringcomputerworks.com/Accelerate_and_Brake.exe . It's based on the same platform as the below mouse and lighting programs. Programmed by Junt Hoong Chan. This program Lighting_Fast.exe shows lighting on the screen as fast as possible and it helps if you have occult problems. It helps in removal of some occult which may or may not be. Please download from http://engineeeringcomputerworks.com/Lighting_Fast.exe . Program and comments by Junt Hoong Chan. 25th March, 2015: Update on the new ScreenSaver from Engineering and Computer Works.  The image is as below a rotating, circular in motion Screen Saver. Start by double clicking the ScreenSaver.exe file and press ESC key to exit. 24th March, 2015: The DAC from Engineering and Computer Works is able to output music to the Speaker if input into one of the digital channels of the system. 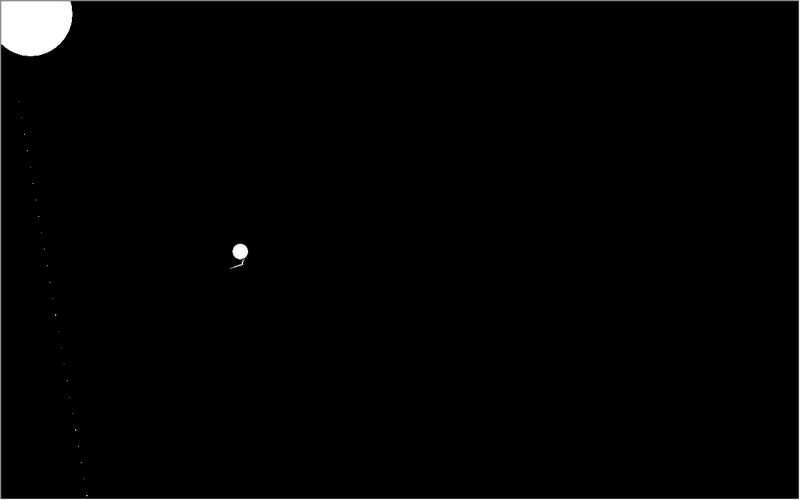 Currently, this is undergoing testing and will be shown shortly without amplification. The sound is audible and clear. 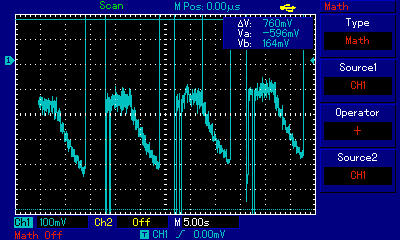 Going further, the DAC, if possible is able to show a mixture of digital input's (8 digital input's). 19th March, 2015: First shooter program from my Skydrive which is a sample program heavily changed and modified for Windows 8.1 Professional and other Windows versions available. The original program was bought from a store in Kuala Lumpur, Malaysia was for Visual Studio 6. The program has bugs which is currently being fixed. http://1drv.ms/1O7oDUD . 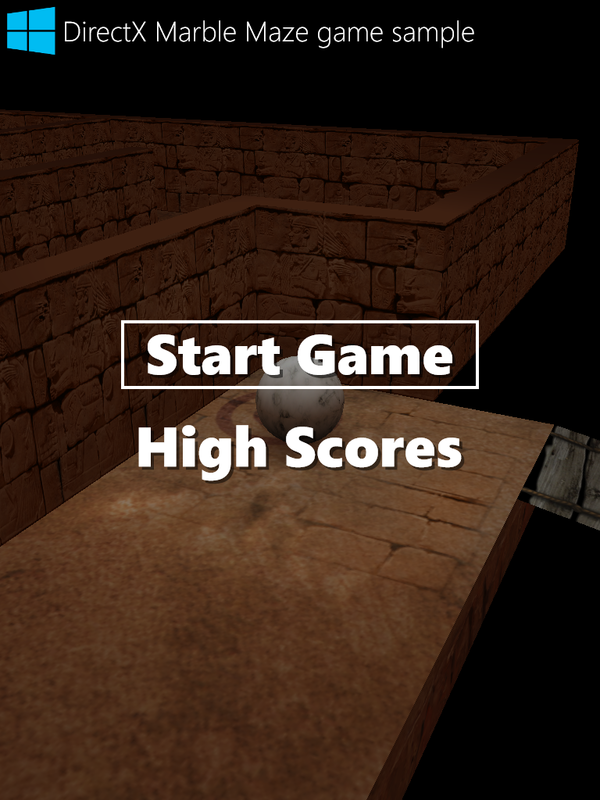 The game is Test_Game.zip with the setup program. 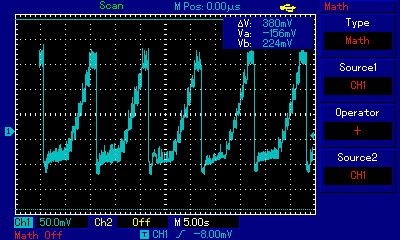 17th March, 2015: Digital to Analogue converter added to my Operational Amplifier Analogue Filter Final Year thesis project on Power Electronics Simulation. Please view the video on this link. http://1drv.ms/1CnKEdc. For the C source codes for digital to analogue electronics device Microchip PIC 16F84A, please contact chanjunthoong@theiet.org or chan_junt_hoong@ieee.org or phone numbers +1(503)928 7953 +1(503)928 7953 or +65 9173 7839 +65 9173 7839. For embedded systems design and programming, please contact Engineering and Computer Works for more information, chanjunthoong@theiet.org or chan_junt_hoong@ieee.org or phone numbers +1(503)928 7953 +1(503)928 7953 or +65 9173 7839 +65 9173 7839. There is a new firmware for the control system and it has been updated to MPLAB 8.83. 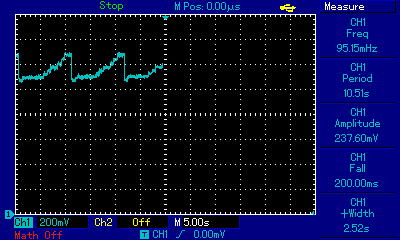 The program works on the Microchip PIC 16C63A. There are available 200 pcs of Microchip PIC devices PIC 16C63A with me in my small office and are available for sale and for shipment worldwide. The price per device is USD5. Please contact me at chanjunthoong@theiet.org or chan_junt_hoong@ieee.org or phone numbers +1(503)928 7953 +1(503)928 7953 or +65 9173 7839 +65 9173 7839. 9th March, 2015: Engineering and Computer Works has IC's created from Microchip with firmware for Control System CPU's, clocks, lumination, Digital to Analog Converter, Analog to Digital Converter, counters and others. Please contact chanjunthoong@theiet.org for more information. For those interested in solutions for Microchip's assembly language, I have cookbooks and software solutions available. Please contact me at chanjunthoong@theiet.org for enquiries. I am currently advertising my office around the world and up to today, there have been an increase number of people who have seen the website. Friday, March 6th, 2015: Yesterday was the 15th day of the lunar calendar for the New Year for me and those who believe in the Chinese calendar. Happy Lunar New Year of the Goat to all and those who believe. I am personally a free thinker. I have found a strange occult practice, it seems to have helped me on the shutting of my eyes while driving which has stopped. It seems that by saying "Falungong lights, please jump out of me onto the computer" and " Nasi kuning, nasi kunyit, lampu kuning, benda kuning, lompat keluar dari saya ke komputer" a few times, the shutting of my eyes will disappear. I am not too sure of the effects but my eyes do not shut off after these or it occurs less and fewer times. How strange. From: Junt Hoong Chan, 17th February, 2015. 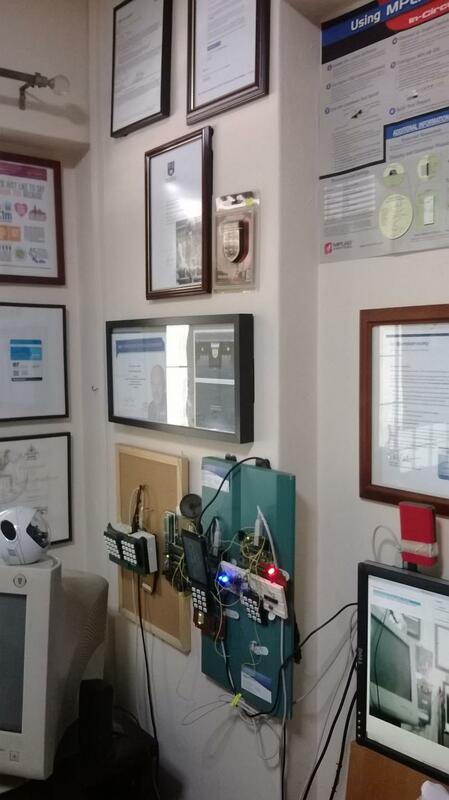 15th February, 2015: Junt Hoong Chan's Engineering and Computer Works consultancy Small Office Home Office updated with the latest additions to my small office. 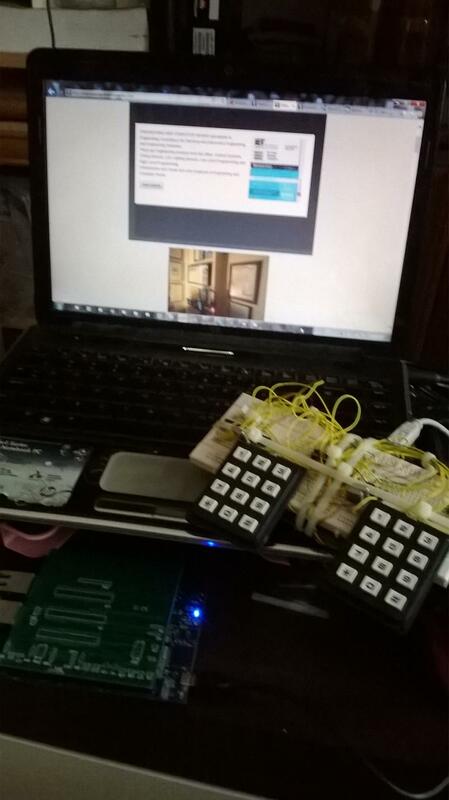 12th February, 2015: The control and network assistant system allows for better connection, it has dual 12-key keypads, 2 control system 16-bit data bus CPU's capable of dot matrix LCD display expandable to 16 keys on each side, 32 bit ARM Atmel CPU utilised to connect to the network. The system can fit a TFT display or larger graphics display and is connected to the network via the Phone Application programmable software. The keypad can be programmed to function with software or is able to work with notepad.exe from Windows. The whole system can run on Windows environment from Windows XP until Windows 8.1 Professional. It's compatible with X86 Intel systems and software via USB or serial port. The network port is for streamed data pulled by the SINE or COSINE function. This allows for data to be pulled into the system and into the computer by flowing on cables. The network port is also utilised for the image file for the 32-bit ARM Atmel System. Please contact chanjunthoong@theiet.org or chan_junt_hoong@ieee.org for purchase inquiries. The network system is able to recover from errors as mentioned below and perform streaming as mentioned below. The new system below Atmel 32-bit (ATSAMA5D3-XPLD) and my control system CPU's(8-bit control system CPU's Microchip PIC16C63A) work together with the USB 3.0 to allow error recovery of Internet Explorer (tested) and is able to control the streaming movies from movies streaming sites to show full screen movies on my laptop and desktop streamed from start until end of movies without much or no glitches. 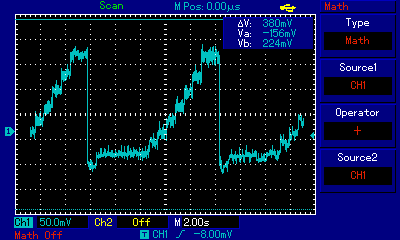 There are improvements over streaming without the Atmel 32-bit and control system CPU's. Please contact chanjunthoong@theiet.org for a demonstration. The Atmel 32-bit system coupled together with Microchip's 16-bit data bus control system CPU's( the 8-bit control system CPU's) have been able to enable my laptop to recover from programs which "do not respond" or "not responding" quite quickly. 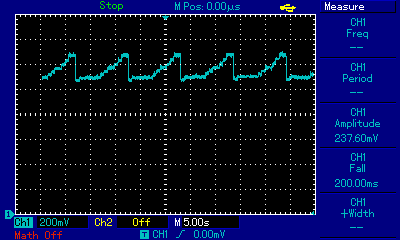 I'm checking the system to check if data travelling on direct current voltage can stream data faster than usual on a laptop without overheating or increasing the voltage or current on the Intel CPU. 26th January, 2015: Is it possible to enhance the performance of the laptop utilizing a microcontroller, or more than 1 microcontroller, example, 2 or 3 or 4 or even 5 or 6? 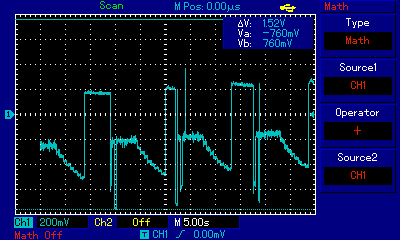 I'm currently testing my computer to check it's performance with 2 units of 8-bit microcontrollers and 1 unit of 32-bit microcontoller attached. There is a better performance, not from statistics but viewing. 23rd January, 2015: The control system is able to function with USB3.0 standard utilizing the same ﻿software for the Phone Application as a configurable driver. 22nd January, 2015: Sound activation as researched during 2012 would be included in the control system. This would be further tested in the robotics in the later stage in the year. 17th January, 2015: The control system processor apparently can function with Microchip's application board to produce sounds which can play continuously. 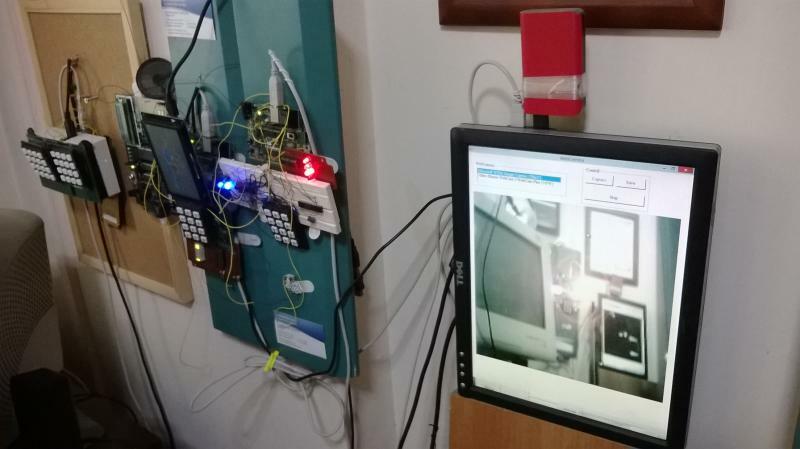 9th January, 2015: Microchip's Demo board and Engineering and Computer Works Control Systems from Engineering and Computer Works as below. Please click on the link for the video. 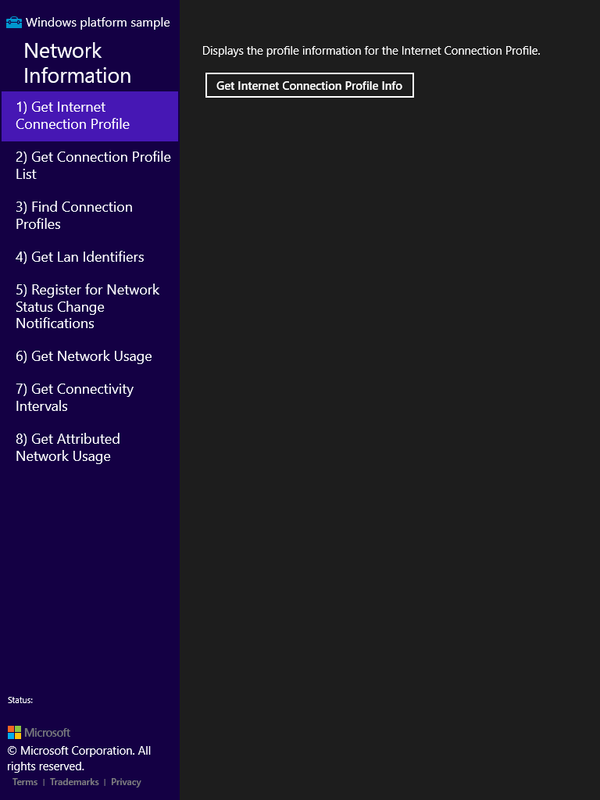 8th January, 2015: Updates for the Phone Application Visual Studio application is now published utilizing Visual Studio 2015 in Visual Studio samples. Please click on the link below to download the software. For further education purposes, please contact chanjunthoong@theiet.org or chan_junt_hoong@ieee.org for details on the control system. 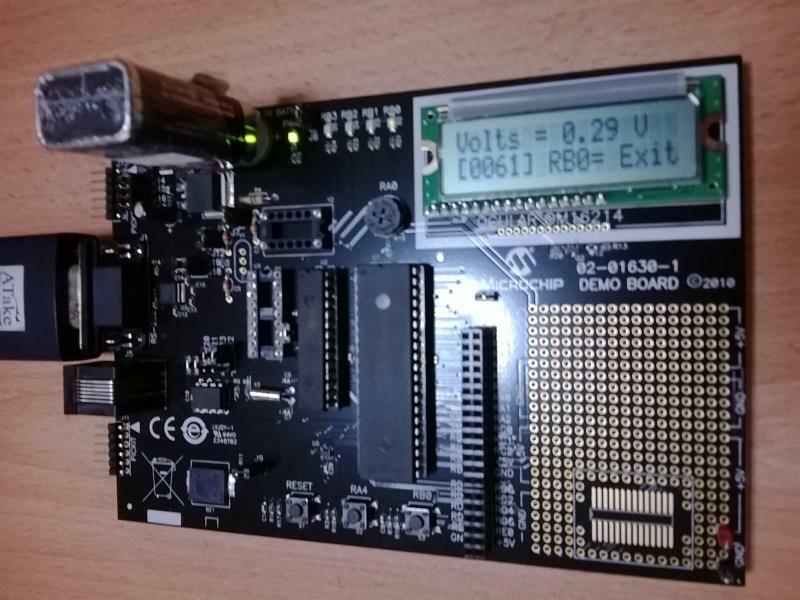 Microchip's Application Board / Demonstration Board would be utilized with the control system to show functions of A/D and if possible D/A, and would be utilised with the control system, please view the picture below. 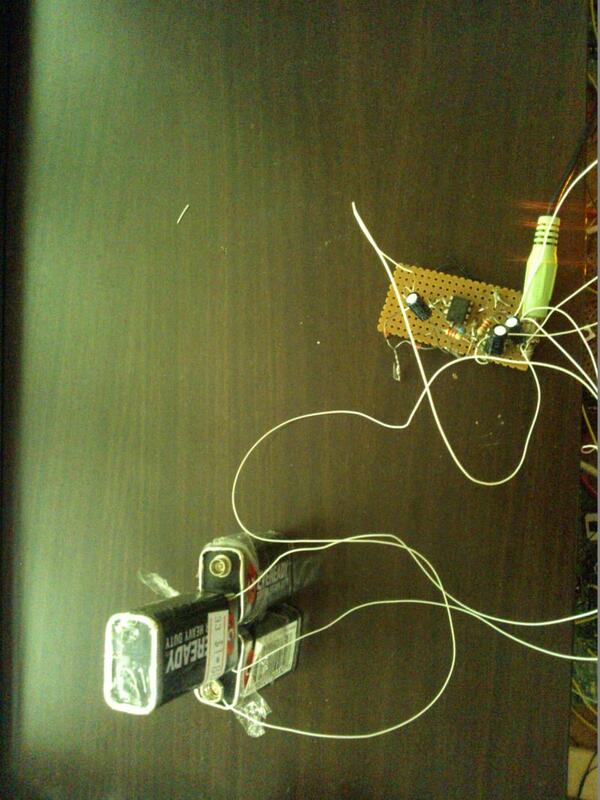 Currently, there's the Buzzer, Clock, Temperature and Voltmeter functions. This ﻿link shows an example of a tune on the Microchip's board going from lower to higher pitch. Engineering and Computer Works 4th year as a consultancy and engineering office. Junt Hoong Chan is the owner and entrepreneur and sole employee of Engineering and Computer Works and has added a new office, Engineering Trade Works on the 1st of January, 2015 of which Junt Hoong Chan is also the sole employee. 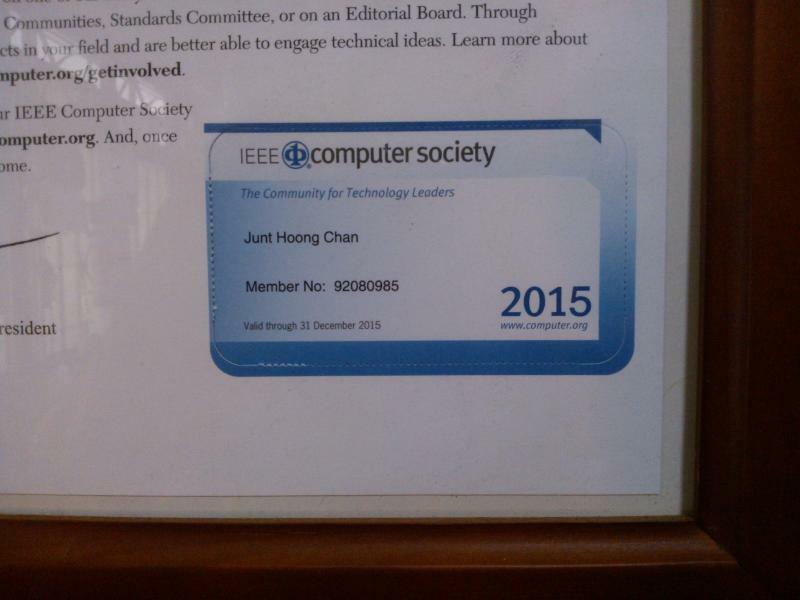 I have membership status to the IEEE Computer Society. 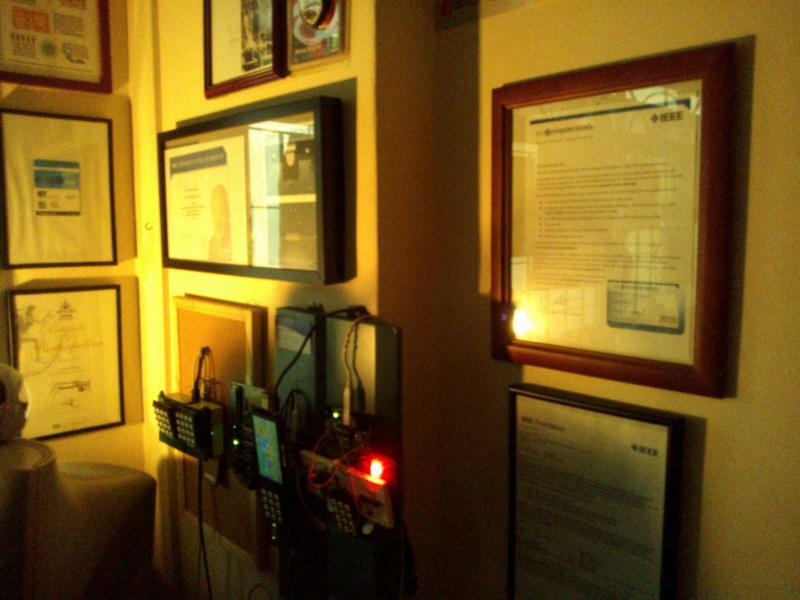 Please view my certificates, membership status and Honor Roll status in IEEE.